Meet the Worthingtons. Start with eleven kids, two great danes and two houses filled with family and friends all looking for happily ever after. Add love and laughter, and hijinks and shenanigans ensue. Discover strong women who know what they want and the devoted men who can’t live without them. 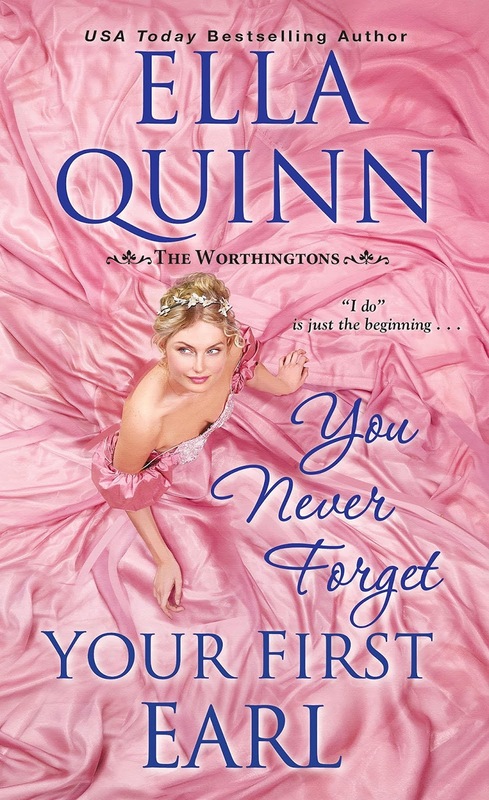 The Worthingtons—where Regency romance is a family affair. It’s time to fall in love. Littleton had to be the reason Miss Turley didn’t have another set to give Geoff. Damn it all to perdition. He hadn’t liked the man at Eton or university, and he damn sure didn’t like him now that the blasted fellow was trying to steal his bride. Everything came too easily to Littleton, and Geoff was bound and determined that Miss Turley would not be one of them. She was his. He just had to find a way to make her—and everyone else in the ton—understand that simple fact. There must be something he could do. If things progressed as they had with Lady Charlotte, he’d lose Miss Turley as well. That meant losing his position with Sir Charles. An untenable proposition. As Geoff strode off with as much dignity as he could muster, his cousin’s light laughter followed him. He was not going to be made a fool of. Somehow he would get back into Miss Turley’s good graces. “List, my lord?” Geoff’s valet stood just out of arm’s reach or he might have grabbed the man. He had always prided himself on his calm temperament. Now he wanted to strangle someone. “And after I have procured the blooms?” Nettle appeared perplexed as he well might. With one major exception, that had made him look like a popinjay, Geoff had never given flowers to anyone. “Good man.” He poured himself a large glass of brandy. “Have the messenger wait for an answer.” Geoff just hoped she didn’t take an hour to respond like she had the last time. Although then, he had not been on pins and needles wondering if she would accompany him instead of already having an engagement with Littleton. 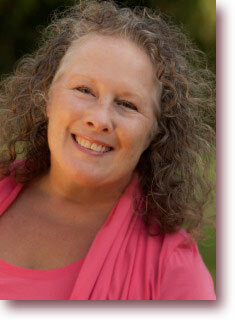 Ella Quinn has lived all over the world, including three years on a sailboat in the Caribbean. If money was no object, where would you choose to live? We have two giveaways today: one for U.S. addresses and one international. Each randomly chosen winner will receive a print copy of You Never Forget Your First Earl and a choice of either Three Weeks to Wed (Book 1) or The Marquis and I (Book 4). Please include US or INT in your comment. Winners will be chosen from all comments posted by 11:00 PM, May 30, 2018. 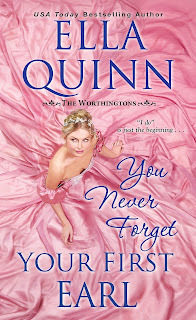 USA Today bestselling Regency author Ella Quinn lived all over the United States, the Pacific, Canada, and Europe before discovering the Caribbean and living on a sailboat for three years with her husband and a Portuguese Water Dog. She's currently living in Germany, happily writing while her husband is back at work, recovering from retirement. Learn more about Ella and her books at her website, connect with her online at Facebook and Twitter, and follow her at BookBub. US - I would love to live in a cottage on the rocky Irish coast. It would be surrounded by a picket fence and have a lovely garden with roses and other flowers growing. There would be a nice area to sit and read and watch the waves crash on the shore. A few weeks in a Scottish Highland castle would be nice, too. I'd live somewhere along The Sunshine Coast, QLD. We visit every chance we get, so to live there would be amazing. It's a beautiful part of the world with beaches that beckon. I've never visited there, but I've heard it's amazing! Sicily - that's where all my ancestors came from. I've heard stories all my life. My niece recently visited with her family and said it was as wonderful as we thought it would be. Sicily is on our list of places to visit on the boat!! I would definitely live in a cottage deep in the heart of Cornwall. I would love it to be along the coast so as I could be near the sea with a beautiful beach to lounge the day away on. We have friends in Cornwall! They love it! US - I would live in a Scottish Highland castle. US! I would live in Nevada USA I love it there been there a few times and loved it. We have friends in Las Vegas who love it! I'd like to get out of America due to the political climate. England might be nice to live for a bit. I here you. Germany is nice. Living by a tranquil, peaceful beach would be a dream come true. The ocean is soothing and walking along the shore gives me great pleasure. I agree. Beaches are soothing. Now that space tourism is on the horizon I think that I would like to tour the solar system. I would, of course, need access to a powerful telescope to indulge my interest in astronomy from such a fabulous vantage point ..... maybe keeping an eye out for hints of dark matter. I would of course also need some romance books to relax with .... perhaps 'The Worthington' series would suit .... electronic format to reduce payload please! All my books, The Worthingtons and The Marriage Game are in ebook format! I would like to live where the sun shines everyday, there is no winter and the skies are blue. That would be ideal and delightful. Either a great lake or an oceanside setting. That sounds a lot like the Caribbean. I'd still live in my hometown, but I'd get a second house on the ocean. I'm just not sure which state. Living near the ocean is fun. US - Since my children and grandchildren are where I live now, I'd stay where I am. However, in a different world, I'd choose the Scottish Highlands. I've never been to the Highlands, but I've seen pictures and I have friends who live there when their not on their boat. They're beautiful, but cold. Congratulations, Ella! If I could live anywhere it would be San Diego, CA. I've always loved it there. Picturesque beauty! Fabulous weather! Love it! Thank you so much!! I'm thrilled this book is out! San Diego is beautiful! I would set myself up in Seville, Spain as a home-base and then travel across Europe! We were in Seville last summer. It's beautiful! Japan was my first choice until I remember winter. :) I think somewhere where the weather is warm but not too hot? :) London sounds amazing too. London is fun! The southern coast of Portugal doesn't get too cold. Cornwall. Everything I have seen makes me believe I would love it there. This may sound boring, but I'm happy living where I am. It would be nice to have an unlimited budget to travel to places, and then I can return home. That's all you need, then! US--I loved living in the Scottish Highlands so I'd go back to Scotland in a heartbeat. I also like Maine which is the US version of Scotland IMO. Thanks for the opportunity to win your book!! Money no object? I'll take Madeira off the coast of Portugal. I've only seen pictures, but it looks lovely! I'd love to live in London. I love the city and its history. Thank you, Alina!! Reading binge? It is. And they have great food! US - I'd want to live close to family, but at a beach or lake, but do a lot of traveling & spend at least a month in each place - like Ireland, England, Scotland, Paris, Italy, Greece - that would be the best of all worlds. South Padre Island-Texas-most beautiful beach and awesome waters!! Hopefully, you can make it happen! I wouls love to live on one of the Virgin Islands or St. Maartens, at least in the winter. I want to live near the ocean, where I can hear & see the waves. I lived in the Virgin Islands and spent a lot of time in St. Maarten when we were full-time on the boat. They're both wonderful! Or Europe in the Alps. I guess I'd pick a coastal spot in Ireland. I love water and seeing green landscapes. But I've been blessed with a good life, family and decent health and now in retirement, happy with where I am. I'd love a beautiful little cottage surrounded by flowers in Scotland overlooking the ocean. Thank you Ella for the post and the giveaway chance. I would want to live in Switzerland.